Enchanting. Elegant. Effortless. We bring all this and more to your event. flexible event spaces to address your every need. Promenade Ballroom Our largest meeting space. It accommodates up to 260 people classroom style and features a 16 x 16 ft. drop down screen at each end of the space. This room may also be split in half for smaller meetings and groups. James J. Hill Room A beautiful, naturally lit room, with seating up to 100 people classroom style. 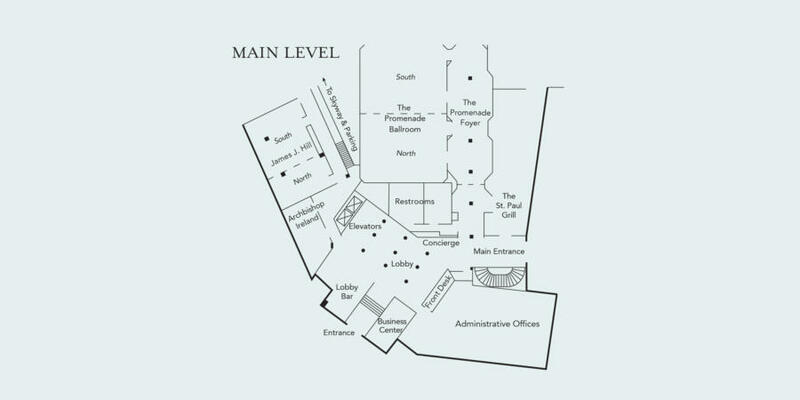 This room is a perfect fit for a small general session with an attached breakout, as this room can also be divided. Also a very popular choice for an executive reception and dinner. Archbishop Ireland Room The executive boardroom of choice in Saint Paul. This space features comfortable high-back leather chairs, natural light and is conveniently located directly off of the lobby. 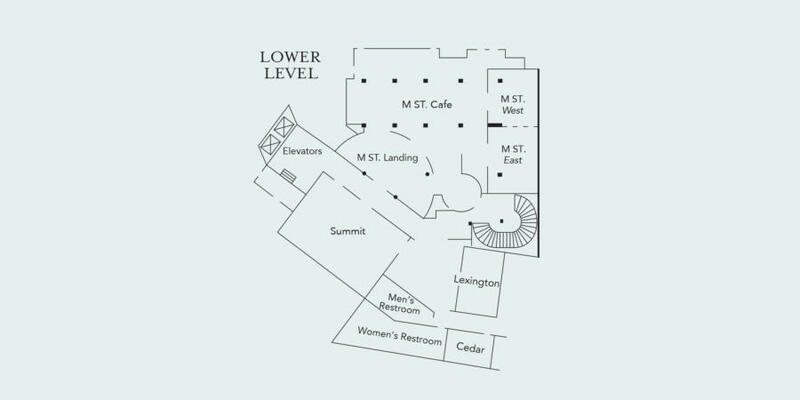 M St. Cafe A full service restaurant that can be transposed after 2:00 pm into a reception space to welcome guests prior to their events. Lunch at M ST. Cafe’s European-inspired hot and cold sideboard is included in our Day Meeting Package. Summit Room Located directly across from M ST. Cafe, this room is wonderful for large meetings, conferences, lunches and dinners. Lexington Room Located across from the Summit room and adjacent to M ST. Cafe, our Lexington room is perfect for small board or interactive meetings, breakout sessions and small lunches. It also features a drop down screen. Cedar Room Ideal for intimate meetings and dinners.